At our home, banana always tops the must buy ingredients from the grocery. DH and DS love this tropical fruit. Some times I tend to buy more thinking guys at home would devour it. But ironically they wouldn’t even bother to touch the fruit. Result? Ripe bananas sitting idly on the counter! I usually make banana cake or shikrani (recipe to follow). 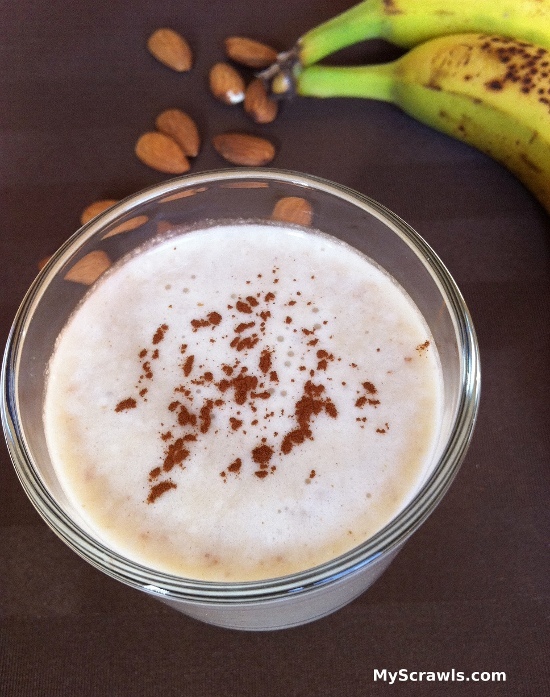 This time I tried the simple banana smoothie with almonds. 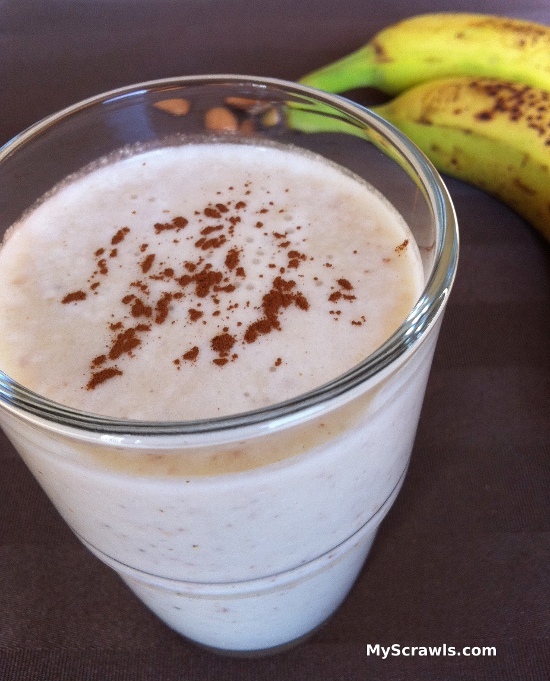 The “nutty” flavour blended very well with banana. In a blender add all the ingredients and beat until smooth and creamy. Transfer to the serving cup and garnish with a dash of cinnamon powder.